From Cercemaggiore, Italy, to Greensburg, Pennsylvania, Rizzi DeFabo's family has embraced a love of food, family, and community that has resulted in a legacy to be shared. 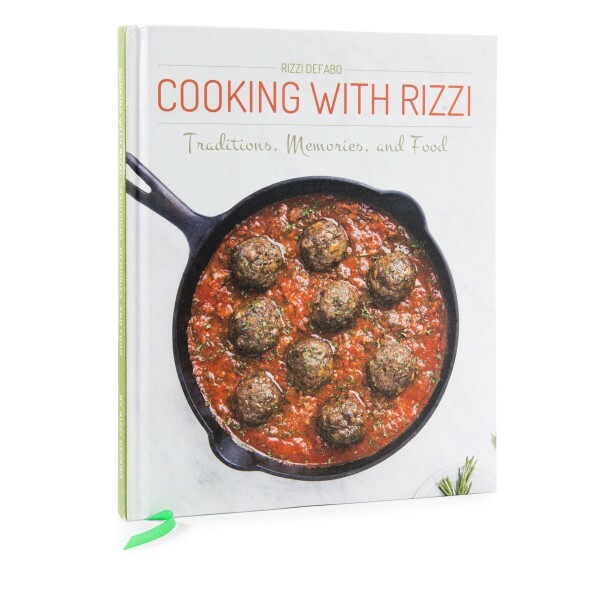 The recipes found inside Rizzi's latest DEFABO PRESS publication, Cooking with Rizzi: Traditions, Memories, and Food, will not only invoke fond memories of one's own family traditions, but will also inspire all to sample new fare. From tasty main courses to simple desserts, Rizzi invites you to reminisce, cook, and enjoy with family and friends. Have your copy specially autographed by Rizzi himself! Just include a note with your order naming to whom you'd like the book signed. $38.25 including tax, shipping, and autographing.